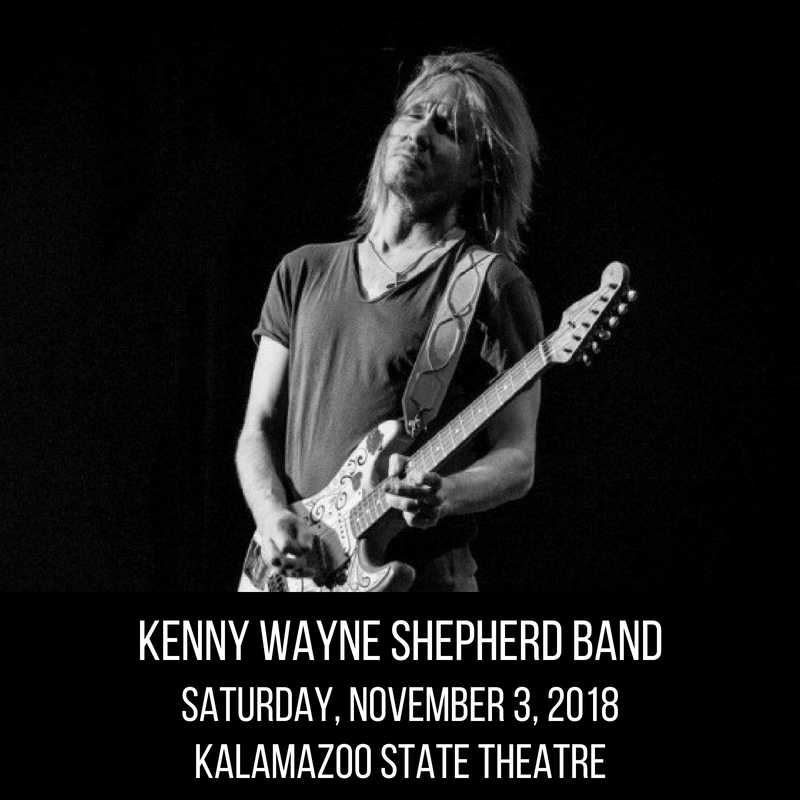 Kenny Wayne Shepherd Band is bringing their guitar-driven blues rock to Kalamazoo State Theatre, Saturday, November 3rd. There are few artists whose names are synonymous with one instrument and how it’s played in service to an entire genre. Kenny Wayne Shepherd has released several albums over the years and has had commercial success as a blues artist. Shepherd has had seven singles in the Top 10 since 1995 and he holds the record for the longest-running on the Billboard Blues Charts with his 1997 release Trouble Is… featuring the hit “Blue on Black”. The song went to No. 1 on the Mainstream Rock Chart. Last summer Shepherd released the album, ‘Lay It On Down’ which spent eight weeks at number 1 on the Billboard Blues Chart. Kenny Wayne Shepherd Band live is an experience not to be missed, catch him at Kalamazoo State Theatre, November 3rd.